You really have to feel for film-makers these days. In a culture obsessed with spoilers and finding out as much as possible, the meticulous secrecy that goes into protecting their plots ends up having to be given up - at least partly - in the interest of marketing. Essentially, in order to ensure that as many people as possible see the art they've spent months (sometimes years) protecting zealously, they have to give away just the right amount of their secrets. And it even has to happen to studios as big as Marvel with properties as big as the MCU (which you'd think wouldn't even NEED marketing, but here we are). In a perfect world, Marvel would have announced Avengers: Infinity War and its sequel and then gone silent on the rest of their plans. Sure, Kevin Feige would still be able to say he has a million ideas and lots of new films coming out: he could even have announced the specific release windows... But preserving every bit of mystery around Infinity War's ending should have been paramount enough to put everything else on hold. Sadly, investors need concrete plans and Disney are a business first. So when Guardians Of The Galaxy Vol 2 and Spider-Man: Homecoming were both received well, they were inevitably given sequels. Even more sadly, that made it patently obvious that the ending of Avengers: Infinity War can't stick fully, because we'd currently be looking at a Spider-Man movie without Peter Parker and a Guardians team for Vol 3 consisting of Rocket, maybe Nebula and Kraglin, assuming he made it through the snap too. Look. nobody could have seriously thought that Thanos' snap would last forever, partly because of the characters who were "killed off." Black Panther was coming off the back of a huge box office haul, Spider-Man had taken LOTS of logistical juggling to even get into the MCU and the Guardians needed their third movie wrapped up when Adam Warlock was teased at the end of Vol 2. Marvel might be brave, but they're not idiotic. And there's no way Disney would allow them to kill off so much brand power (particularly when Spidey in particular sells so many toys). 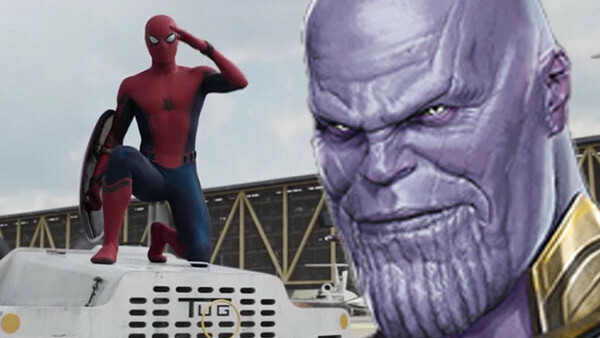 But, Spider-Man's Homecoming sequel poses a particular challenge for Marvel Studios, because of how close it comes to Avengers 4. Released merely 2 months after the second half of the Infinity Saga, the film has two options. Either spoil the fact that Spider-Man is going to come back to life by completely ignoring Infinity War's devastating end, or simply don't release a trailer at all until after Avengers 4. You'd have to assume it'll be the first option - or some variation of it, anyway - because there is no way they'd get away with not releasing a single trailer until that close to release. Even though they'll be competing with their own Avengers 4 marketing campaign, the idea of anything but a traditional marketing campaign is just unthinkable. But that doesn't mean it won't be a monumental challenge. Marvel have to strike the right balance between hyping Spider-Man and not completely undermining Avengers 4. They also have to balance the fact that Sony won't care so much about the second concern as much as they'll want to make as much money as possible out of their prized asset. 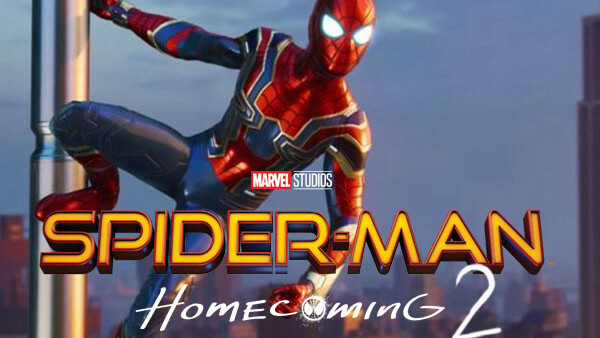 Added to all of these issues is the fact that Amy Pascal and Kevin Feige have already revealed that Homecoming 2 begins “a few minutes” after the events of Avengers 4 and will deal with the fall-out for Peter Parker. Without that confirmation, audiences could have been led to believe it was a prequel, dealing with the time between the end of Homecoming and the start of Infinity War. It's not like audiences would bat an eye at the timeline jumps, since Ant-Man & The Wasp and Captain Marvel are going to do just that after Infinity War. But there's no way to pull that deception when your literal studio heads are getting in the way with their facts. So Marvel and Sony have to go another way entirely. Luckily, they have options. Sony could potentially use the first Spider-Man: Homecoming 2 trailer as a backdoor trailer for Avengers 4 and not have Peter Parker appear at all. That way we could relive the heart-breaking moment in which he dies and then we can see the fall-out in his absence: Aunt May's reaction, kids with Spider-Man toys looking forlorn, crime rising in New York... You know, the kind of thing Zack Snyder tried to do when Superman died. But then, why would Sony do that for Marvel? More likely - and more viable for Sony - would be Marvel having to spoil part of Avengers 4 to show Spider-Man in the marketing footage. In other words, they need Marvel to give away part of their biggest MCU secret - how the surviving heroes undo Thanos' snap. They will inevitably balk at that suggestion, because it's such a valuable spoiler, but there's a difference here to the other secrets from Infinity War that they protected so heartily - everyone already knows that's what's going to happen. 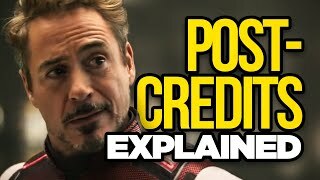 The idea of spoiling the fact that Thanos' work is undone isn't so much of a valuable spoiler because it's been devalued by obviousness and allowing that to be acknowledged would in no way compromise the REAL secret of Avengers 4: HOW it's done. The results - like showing Spider-Man live or at least trapped in Soulworld - don't compromise how much we will all still want to go and see it. And frankly, that's the only way to make Spider-Man: Homecoming 2's marketing work. It needs something of a foundation to build on. And who wouldn't want to see a trailer a few months ahead of Avengers 4 in which Peter goes full Deadpool, addressing the camera to hint with his tongue firmly pressed into his cheek about what happened? In that respect, the fact that Tom Holland appears to be such a liability when it comes to spoiler protection in interviews could be a blessing. Why not play up to that gimmick and really lean into the spoilerific elements without actually giving anything else away? Clearly, nobody wants to end up in a situation where two studios working WITH each other to make money are actively working against one another, so there's going to have to be a compromise. And Marvel realising that they will completely swallow the impact of spoilers in their Avengers 4 trailers while Sony wouldn't be able to get around not being allowed to acknowledge Avengers 4. In other words, after Infinity War's marketing hinged on the #ThanosDemandsYourSilence, we might have to be headed towards a movie marketed on an entirely different hashtag. #ThanosSpoilsAvengers4 perhaps?